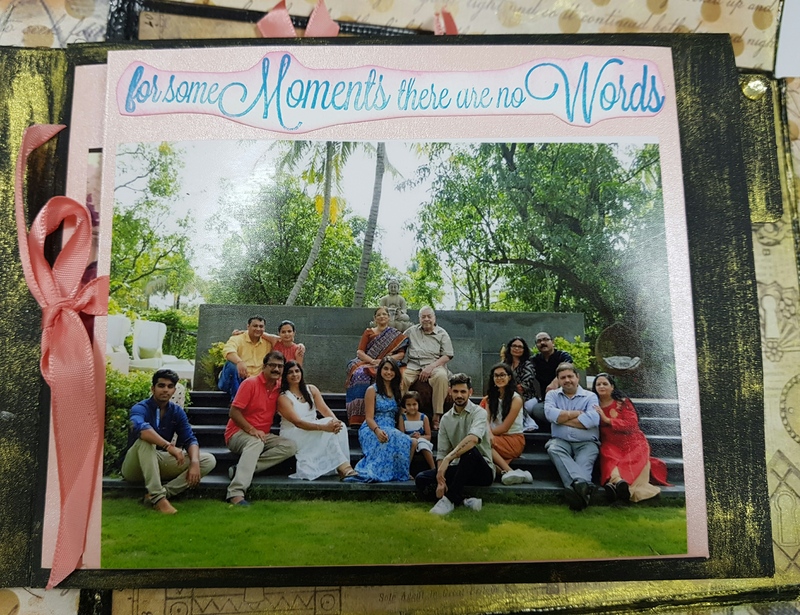 After a long vacation ,i am back in action sharing with you my ” Explosion Box Scrapbook ” made by order for 25th Wedding Anniversary. Its a box with attached interactive pages and folds making it more special with more than 30/40 photos full of memories and special moments of life. The cover of box is decorated with hand made flowers and leaves along with some Mixed Media work with texture and colouring. the box and pages are built from stractch ,along with all pages having diiferent folds and openings. 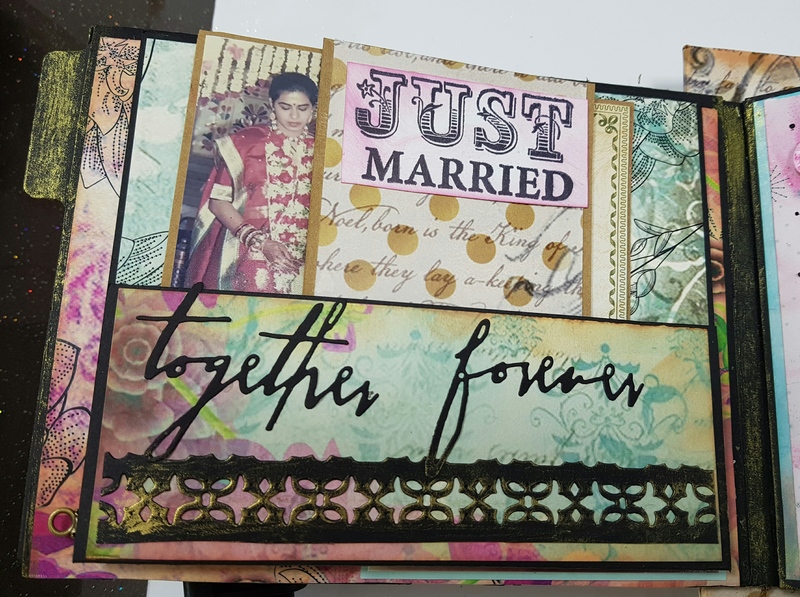 A scrapbook is to preserve precious memories and timeless moments making their Day so Special to Celebrate in Style.